Take advantage of Searoad Ferries' big windows on your journey! 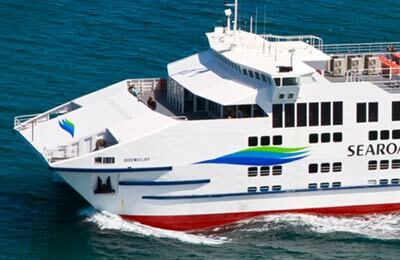 You can use AFerry to book a Searoad ferry between the Bellarine Peninsula and the Mornington Peninsula across Port Philip Bay. The Searoad Ferries service operate with three all-weather 60 metre ferries with departures from each port every hour. AFerry always has cheap prices for Searoad Ferries and the latest special offers. See below for the latest Searoad Ferries prices and sailing times. Click on your ferry route for a detailed Searoad Ferries timetable. 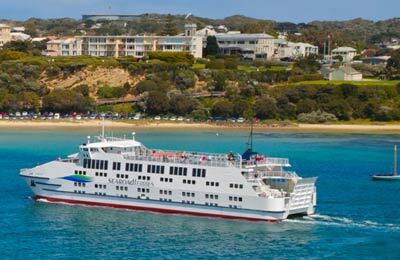 The MV Queenscliff, MV Sorrento and the MV Peninsula Princess are the names of Searoad Ferries' ships. These are roll on roll off vessels meaning there are no tricky manoeuvres if you want take your car on board. The crossing is only 40 minutes. On board you'll be able enjoy lounges, a café and huge windows so you can enjoy the fantastic views while you relax having a drink. There is a lift available which can take prams and wheelchairs. 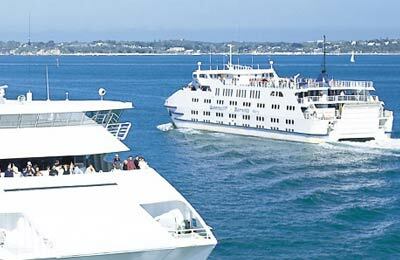 Book your Searoad ferry simply and easily with AFerry.